You like beer? You like the outdoors? Then we’ve got the festival for you! What better way to properly cheers away another season at Hunter MT? 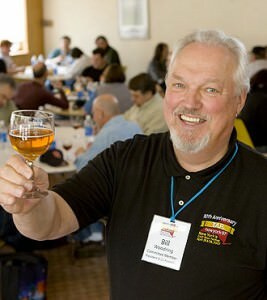 Hunter Mountain’s 22nd Annual TAP New York, Craft Beer Festival Saturday 4/27 & Sunday 4/28! 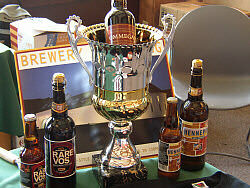 Celebrate the local breweries, the small guys, that create craft beers. 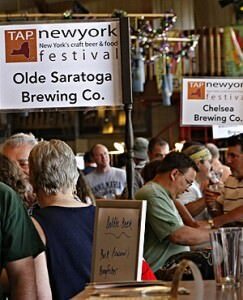 TAP New York has grown over tenfold through the years to now encompass the entire base areas at Hunter Mountain, and overflowing onto the mountain. Over 180 breweries, representing well over 1000 individual beers, offer everything from IPAs and lagers to wiesbiers, doppel and trippel bocks, stouts, ales… pretty much any variety you know of, and probably a few that you don’t. This is your chance to sample beers from the best of the best- you won’t find these beers in your local supermarket because many of these brewers only sell their beer locally, at local pubs, restaurants and small breweries. But this isn’t just about beer; it’s about great food also. There will be food created by local chefs, as well as cooking demonstrations and suggestions. This is your chance to sample some unique brews, learn about the process and understand more about food and pairing. More about TapNY CLICK HERE! This entry was posted in Events, Featured, Festival, How To, Hunter, Mountain Destinations, OvR Beer Bus, OvR Shout Outs, OvRcrew, Trips, Uncategorized. Bookmark the permalink.